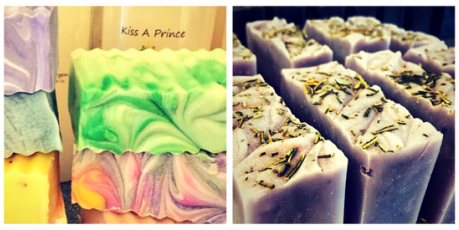 ​Kiss A Prince offers a complete line of Natural Soaps, Bath Bombs, Sugar Scrubs, Whipped Body Butter, Lip Balms, Lotion Bars & Bath Soaks. Based in Anderson SC, we are a Certified South Carolina business. We use many locally sourced and sustainable ingredients. All of our products are handcrafted in small batches to ensure freshness & quality. Your skin will thank you for using Kiss A Prince products!